Wide design to help weigh even the biggest of carp. Includes two built in poles to improve the sturdiness of the weigh bag. The poles pull out of each other to enable you to fold the bag up nice and small. Manufactured from durable nylon mesh, the extreme weigh bag is lightweight yet very strong and durable. Measuring 120cm long with zipped ends for closure, this weigh bag is a firm favorite. The Docks Weigh Stand comes with mud feet and a carry bag. The legs pull apart to decrease the size. At 1.9m there is more than enough room to weigh any size carp. Extra large carp sack/weigh sling with stake out cord and bank stick attachment. 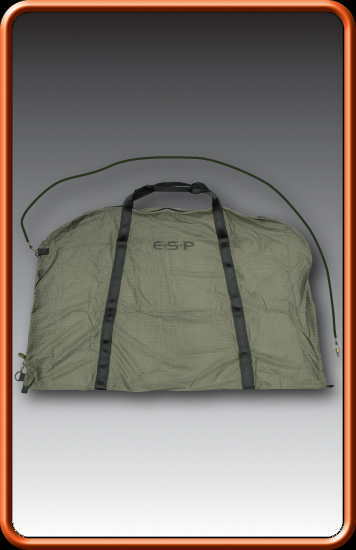 Zipped on three sides to sit flat on your unhooking mat ready for a fish the STR (Short Term Retention) Flotation Weigh Sling is built around full length floats which support a lightweight, fish-friendly, soft nylon and mesh retention section which is dark and designed to maximise water exchange to ensure fish rest quietly and safely. Or attach it to any long pole or bankstick with a screw fitting (eg. Gardner Long Baiting Spoon Handle or Landing Net Pole). 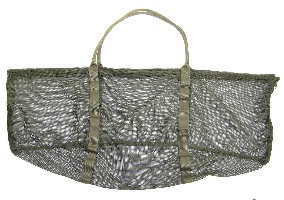 Heavy duty sling designed to handle specimen fish. Reinforced handles with double stitching. Reinforced stiffening rods that give sling stability. Sling will not 'collapse in' on fish.